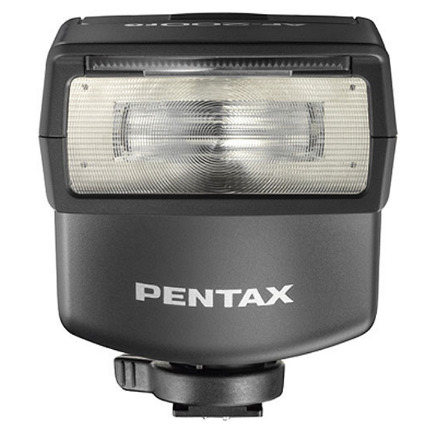 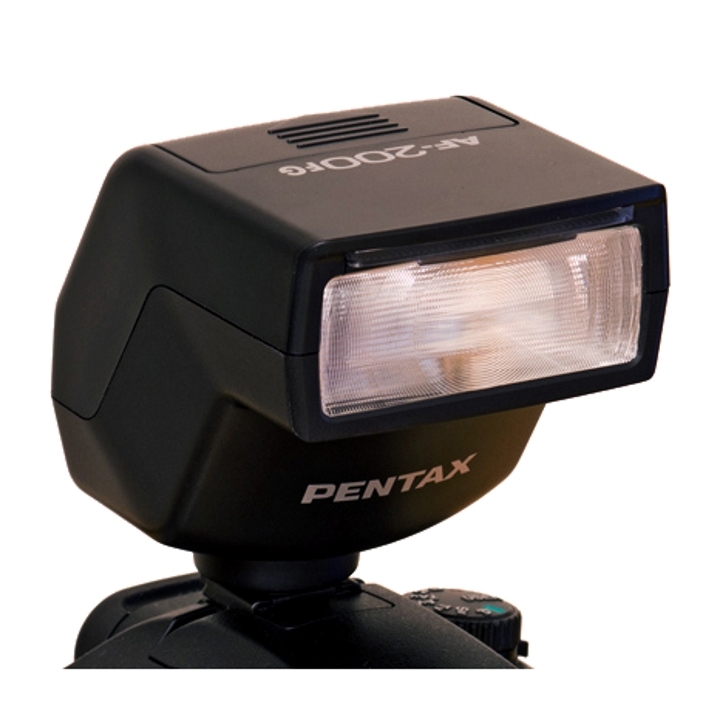 The AF200FG Flash from Pentax is an extremely compact unit with a guide number of 66' at ISO 100 and 28mm. 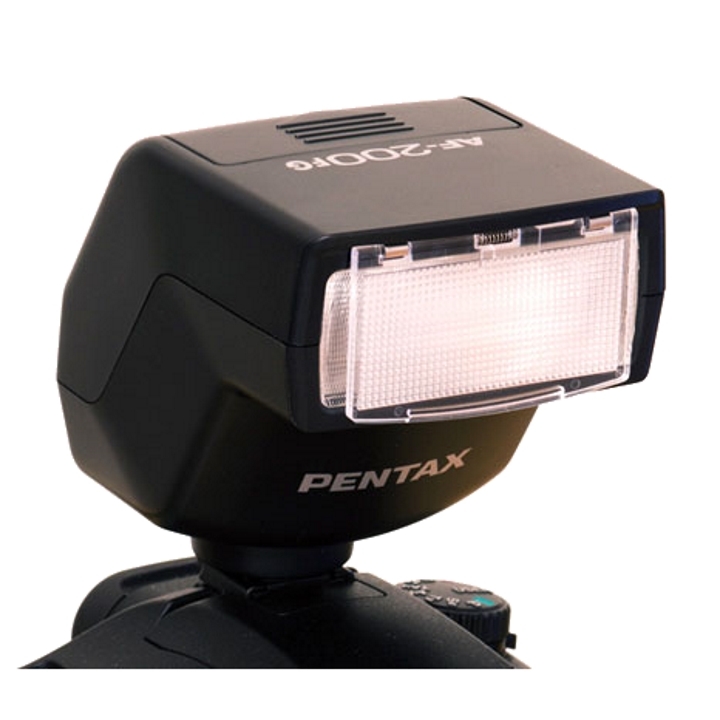 Designed for use with DSLRs, this unit features Pentax P-TTL support, enabling completely automatic flash exposure from the camera. Also, it offers standard coverage equivalent to 28mm in 35mm format as well as a wide-angle panel for use with 24mm equivalent lenses. 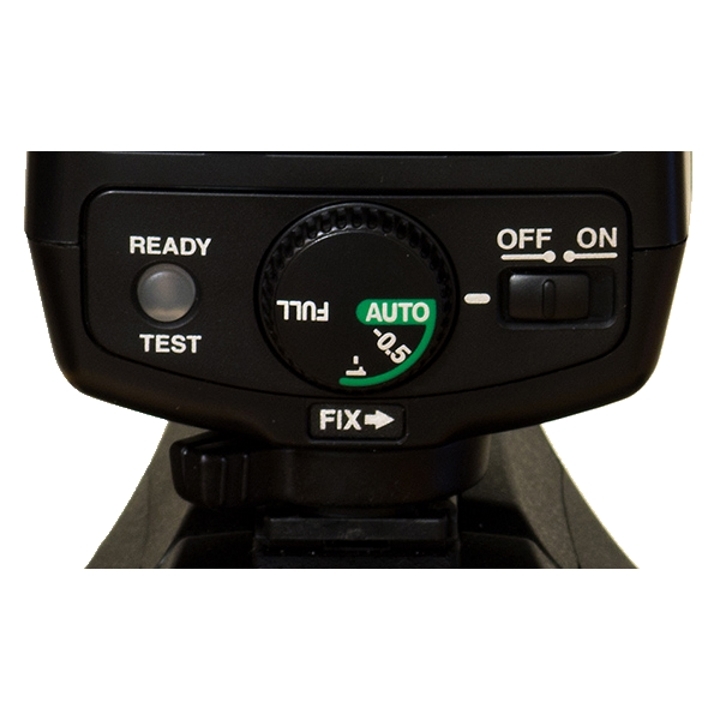 The AF200FG has a dial on the rear for making changes to settings as well as accessing manual power settings and it has a recycle time of about 4 seconds. 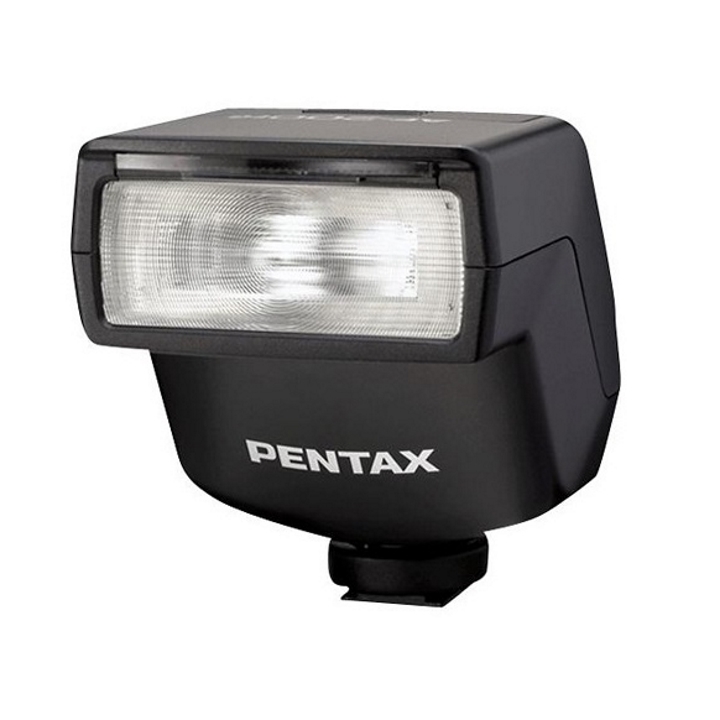 It offers first curtain synchronization and runs on 4 AA batteries.